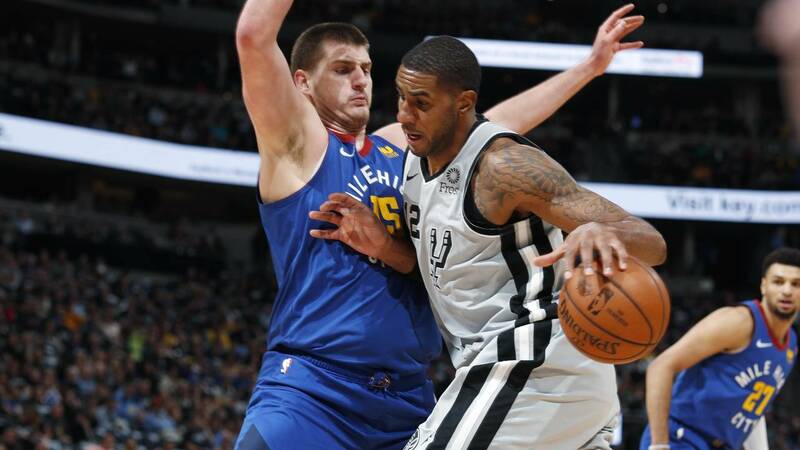 DENVER - The San Antonio Spurs stole Game 1 from the Denver Nuggets in a tight battle Saturday night, winning 101-96 to take a 1-0 playoff series lead. DeMar Derozan led the Spurs with 18 points and 12 rebounds and Derrick White had 16 points for San Antonio. LaMarcus Aldridge and Bryn Forbes added 15 points each. Game 2 is Tuesday night at Denver.